With the assistance of our deft team of professionals, we are able to introduce a broad array of Hot Mix Plant Conveyor Belt. This belt is installed for travelling on rails and conveyors. The provided belt is utilised on cranes and conveyors where hot or high-temperature materials need to transport. 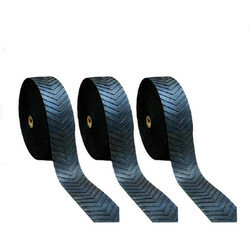 Provided belt is developed and designed adhering to industry standards. Clients can opt for custom designs according to their conveyors. Besides, clients can also get the belt made available to them at industry leading prices. Looking for Hot Mix Plant Conveyor Belt ?